Democrats have been throwing temper tantrums on Capitol Hill since before President Trump was officially sworn in on January 20 and have given every indication we shouldn't expect their obstructionist behavior to end anytime soon. Speaking to reporters Monday, Democrat Congresswoman Maxine Waters said she isn't calling for Trump's impeachment...yet. 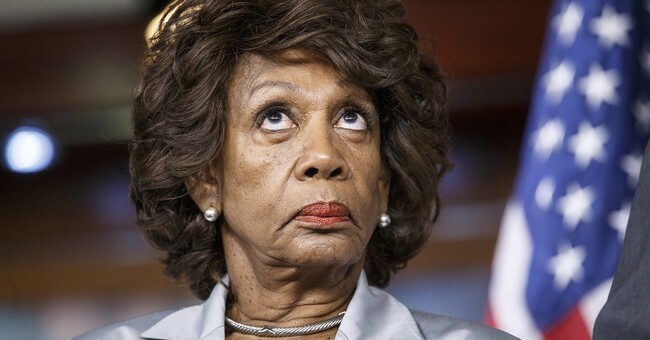 Shorter Maxine Waters: Trump will be impeached because he's Trump and we just don't like him very much. By claiming impeachment is an option without a real argument to stand on, Democrats are setting themselves up for failure should impeachment be necessary in the future. They've blown their credibility and political capital in the first two weeks of the new administration. Voters have been tuning out the left election-after-election for years now at local and federal levels across the country. Democrats like Waters, with their empty rhetoric and false accusations, are to blame. This kind of hyperbolic rhetoric will only push the ear-plugs in further.